Where Is Queen Bassist John Deacon? 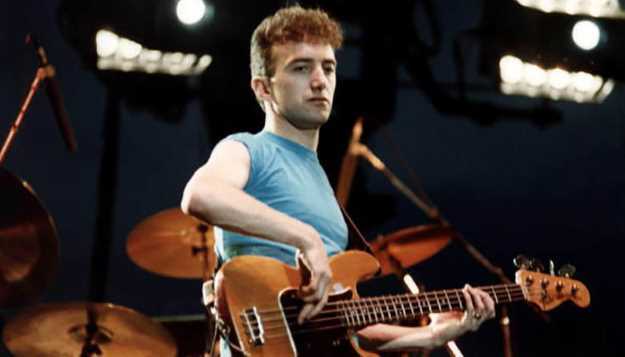 Queen bassist John Deacon is at once one of the most successful songwriters of the 20th century and a mystery to everyone from his fans to his former band mates. While Deacon had the least interest in the spotlight of any member of Queen, his contributions to the iconic band's catalog - writing or co-writing songs like "Another One Bites the Dust," "Under Pressure" and "You're My Best Friend" - are anything but tertiary. Deacon retired from public life following Freddie Mercury's death in 1991, and since Steve Perry re-emerged this summer, Deacon can safely claim the title of the hardest-retiring man in show business. While Queen guitarist Brian May and Roger Taylor have been intent on keeping the band's legacy alive in concert and on record, Deacon has apparently been content living a simple life in the same house in Putney, England, that he bought with his first royalty check over 40 years ago. "It's his choice," says May. "He doesn't contact us. John was quite delicate all along." The bassist was recently photographed in south London, just a few miles from where May and Taylor celebrated the long-awaited premiere of Bohemian Rhapsody, the biopic for their late-front man Mercury. According Queen's publicist, Phil Symes, Deacon is "just living a private life," and wants nothing to do with fame, opting for afternoon tea, golf and family instead of rocking stadiums around the world with his hits. While he remains an equal partner in Queen with May, Taylor and Mercury's estate, the band doesn't hold it's breath waiting for Deacon to respond with input on band business. May says he often contacts the bassist to get the OK on business matters, but it's unclear how responsive Deacon is. That explains why even the premiere of the Mercury film couldn't lure Deacon back in front of a camera. Taylor is less diplomatic than May or Symes about his former rhythm section partner Deacon, adding that the two haven't spoken in over a decade. "I haven't heard a squeak from John, not a single guttural grunt," Tayor explained. "We're not in touch but John's a sociopath, really, and he's given his blessing to whatever Brian and I might do with the brand - and we've done rather a lot." May worries depression may ail Deacon, adding that it's also possible the bassist hasn't fully recovered from the band's rock and roll excesses of the '70s and '80s or Mercury's death and just wants to leave all that in the past. The bassist was particularly close to Mercury and would often spend time with the singer on off days or after concerts. "He could be very outgoing and very funny, but I think some of the stuff that happened [while we were recording The Game] in Munich gave him a lot of damage, and I think losing Freddie was very hard for him as well," May added. "He found that incredibly hard to process, to the point where actually playing with us made it more difficult." It's rumored the Deacon was the seventh bass player auditioned by Mercury, May and Taylor's pre-Queen band, Smile. Taylor says the band gravitated toward Deacon initially to help balance out their firecracker personalities with some ice. "We were so over-the-top, we thought the because he was quiet, he would git in with us without too much upheaval," said the drummer. A family man, it's rumored the Deacon hasn't moved after all this time so as not to disrupt the schooling of his six children.